Jewish people have often faced persecution throughout history, and across many states. At the start of the 8th century, the technologically and numerically superior Muslims had raided and conquered most of the Iberian Peninsula, modern-day Portugal and Spain. Jews who were previously treated as third class citizens were now granted special status as they were “People of the Book” and thus thrived. The tolerance of the Muslim rulers reached such a level that much of the peninsula saw a massive influx of Jews from all over Europe. Jewish enclaves became places of learning and commerce and the people of different faiths became closely integrated with each other. Centuries passed and the cities flourished until the Reconquista was initiated by the Christian Kingdoms, as an effort to drive the Muslims out of the Iberian peninsula. Crusades that went on in this area may be thought of as a part of the Reconquista. Slowly but surely the Christians progressed and by the 14th Century, most of the Iberian Peninsula were taken back. New Kingdoms emerged – Castile, Leon, Aragon, Navarre, Galicia and Portugal and they had no intention of ending hostilities with the Muslims. Jews who were living privileged lives under the protection of Muslims found themselves in a tight spot, especially in captured territories. They were brutal episodes of violence against them on a regular basis and many of them converted to Christianity to protect their families. This tactic work initially, however, the Christian population tried their best to separate these “New Christians” or “Conversos” from the rest. The hostilities became more pronounced as the Muslims suffered more defeats and their sphere of influence shrank. 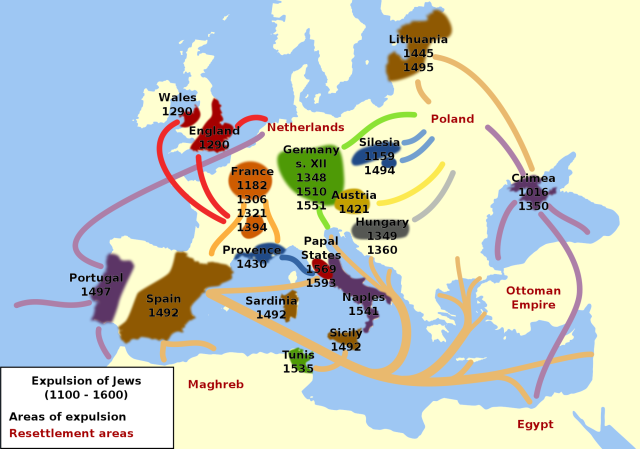 In addition, from the 13th to the 16th centuries, other European countries like England, France and Germany started expelling Jews from their lands. Spain was quick to follow suit! The hostilities reached boiling point when two Catholic monarchs, the rulers of Aragon and Castile, decided to get rid of the Jews, once and for all. Their marriage formed a union that gave them unprecedented power. Both shared the opinion that the Jewish converts were unfaithful, insincere and were actually practicing Judaism in secret. In 1478, they made a formal application to Rome to investigate these suspicions converts. In the meanwhile, the Islamic Emirate of Granada, the last remaining stronghold of Muslims was put under extreme pressure to surrender. There was little left to fight with so the Emir Muhammad XII signed the Treaty of Granada, formally ending over seven centuries of Muslim presence in the region. 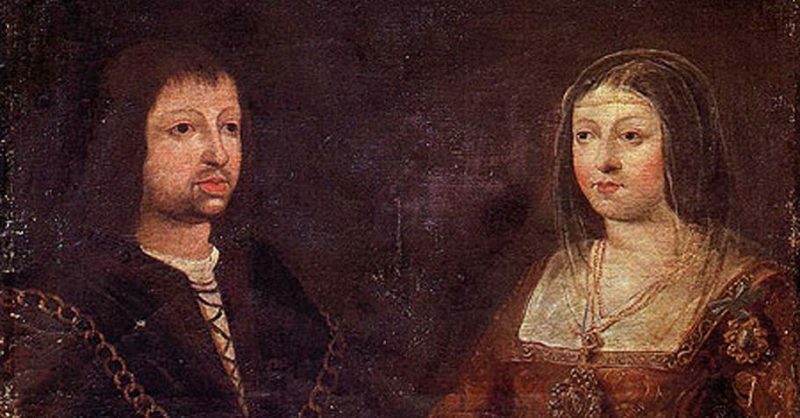 Three months later, the King and the Queen issued the Alhambra Decree in which the Jews were accused of trying to contaminate the Catholic faith and draw Christians from their real beliefs. Some of the Jews were given four months to settle their affairs, ordered to convert to Christianity properly or leave the country. They were permitted to take their belongings with them except any gold or silver. Basically, the Alhambra Decree was a deal that meant the end of Jews in Spain. Lastly, the punishment for not leaving the country within 3 months was summary execution! There were two routes of escape left. Either migrate into North Africa or make it to the Muslim Ottoman Empire. 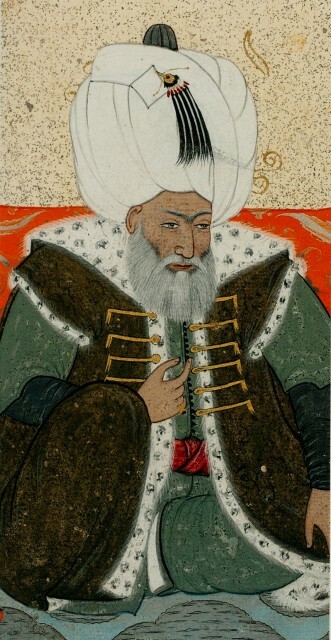 At that time, the Ottoman Empire had established itself as one of the great empires of the known world and upon learning of the expulsion, the Sultan at that time, Bayezid II ordered the Ottoman Navy under the command of the trusted Admiral Kernal Reis to bring back any Muslims or Jews to safety. It must be noted that most of the Muslims living in Spain belonged to the Moorish tribes of North Africa so they settled back from where they came. The same cannot be said for the Jews who were in need of an urgent sanctuary. The Ottoman Navy was dispatched in 1492 and at the same time, the Sultan sent out proclamations, ordering the refugees to be treated with utmost respect. This was the first Ottoman engagement in the western Mediterranean and Kernal Reis was chosen for the mission because of his sound knowledge of that part of the sea. As soon as they arrived, the Jews were given Ottoman citizenships and their status was restored. Bayezid then repeatedly mocked Isabella and Ferdinand for carrying out such a foolish act and called the Jews a treasure to the society. Bayezid took reports from Moses Capsali, the chief rabbi at that time, and after listening to his proposition even agreed on imposing a tax on the rich to help the Jews. The Ottoman Empire didn’t drain its resources by doing so as it gained advanced cultural and technological innovations from these people. For example, the Muslims and Jews of Iberia brought the first printing press in Constantinople. The fields of astronomy, medicine, and science in general also gained acceleration from the input of Iberians. The exact number of Jews expelled from Spain may never be known but historians argue and propose the figure to be as high as 100,000 and as low as 40,000. The Ottoman Empire was vast at the time and the Jews had permission to set up home anywhere they wanted to! The decree wasn’t officially rebutted until 1968 when the Second Vatican Council allowed the Jews to practice their religion in Spain openly. The Spanish Government now pursues a policy of reconciliation with the Jewish descendants and expresses embarrassment and shame for the decree.